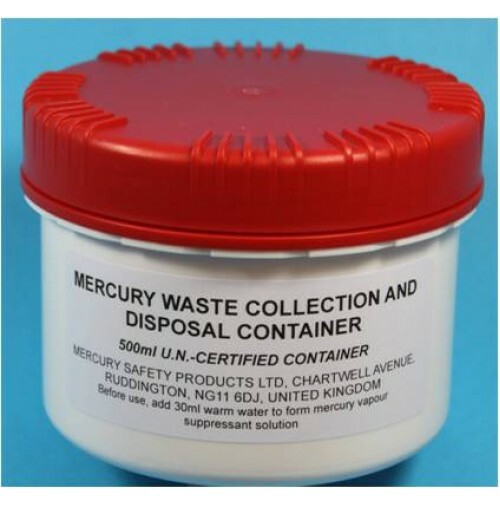 Legislation around the safe storage and disposal of mercury waste is changing and UN Certified containers are often required for transport of waste. We have sourced these sturdy HDPE containers and add a mercury vapour suppressant which is activated by the addition of water. The container is 500ml (half litre) capacity and includes a sealing cap held in place by the sturdy outer cap.